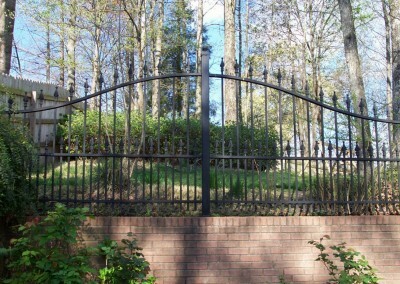 For security, beauty, and endurance, iron fencing cannot be surpassed. 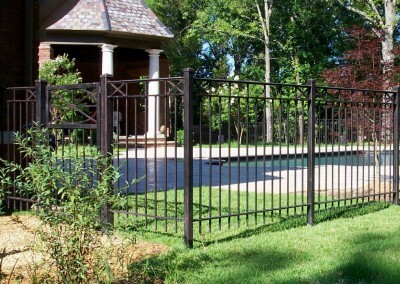 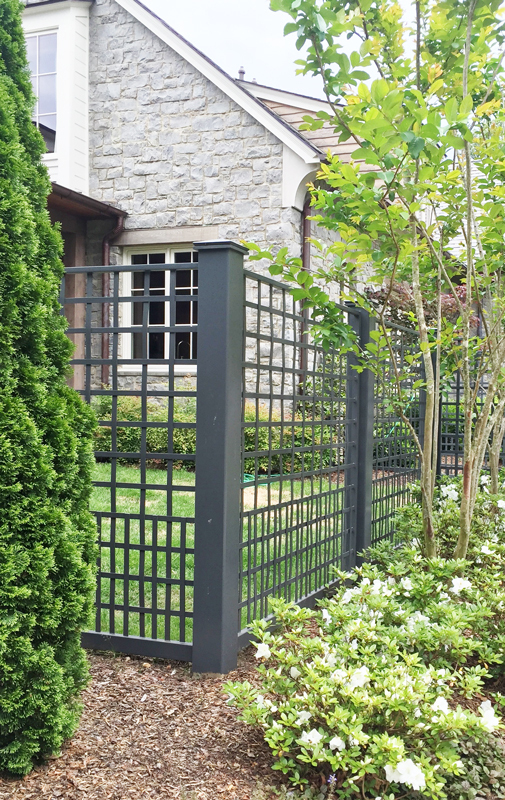 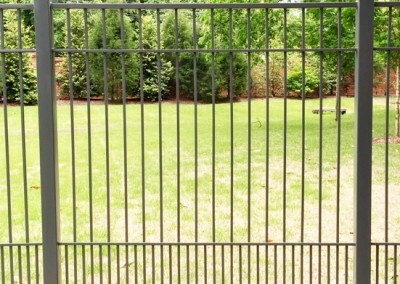 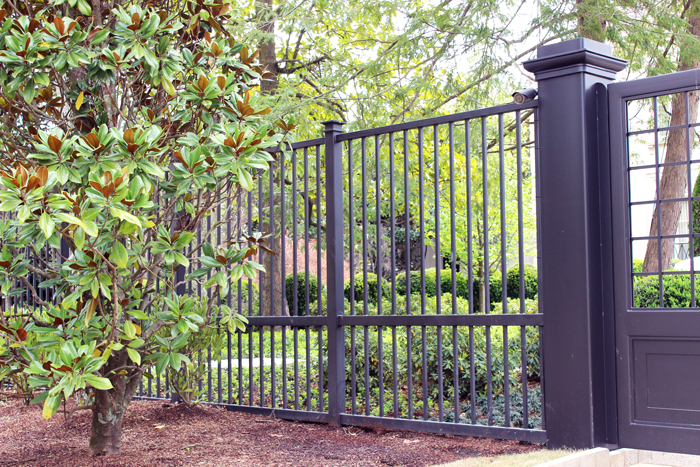 As you look around the Mid-South, you will definitely notice that there are many degrees of quality in the iron fencing you see surrounding local businesses and residences. 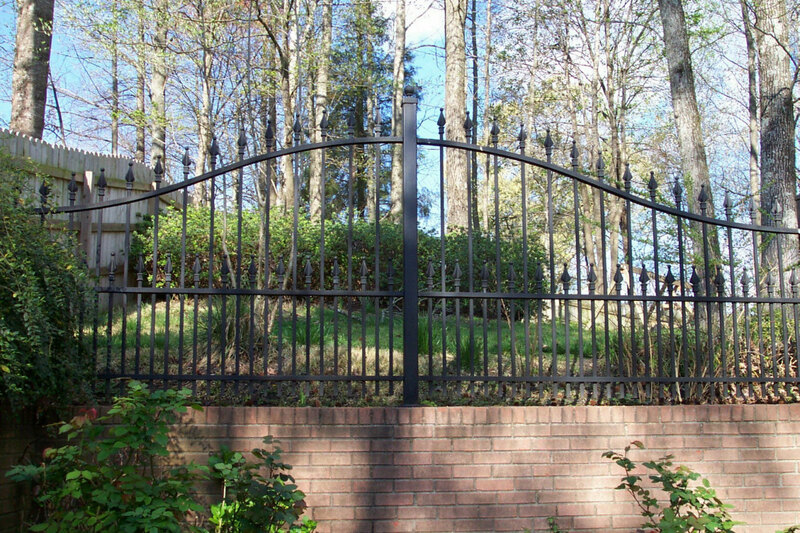 What makes some fences look durable and strong, while others look inferior in craftsmanship? 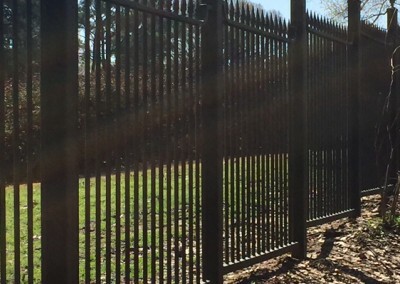 Is there really a difference in the endurance and stability of some fencing over others? 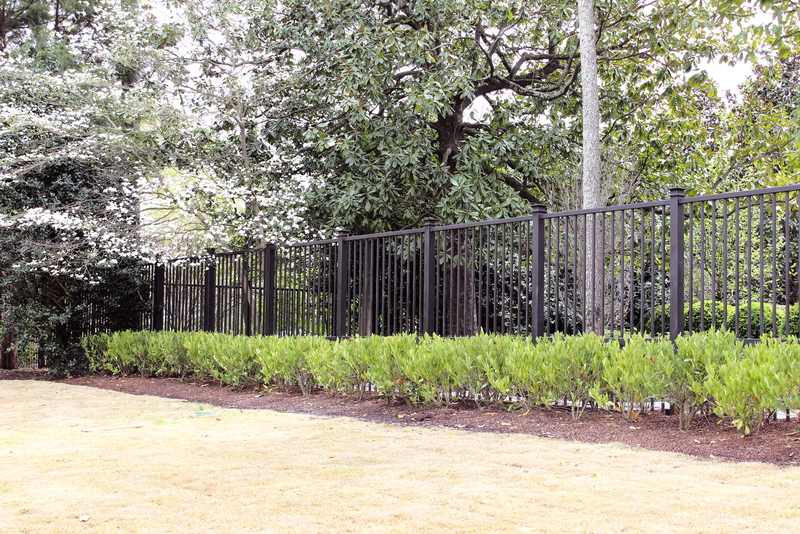 We take pride in and stand behind our fences as being some of the most durable and beautiful in the Mid-South. 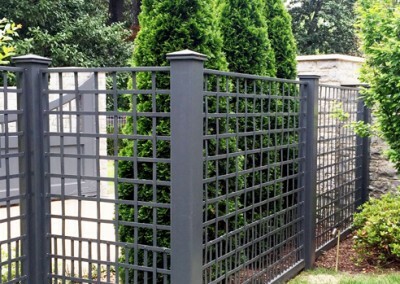 While we have our standard economical fence designs, we also offer a wide variety of options based on the design and scale you are considering. 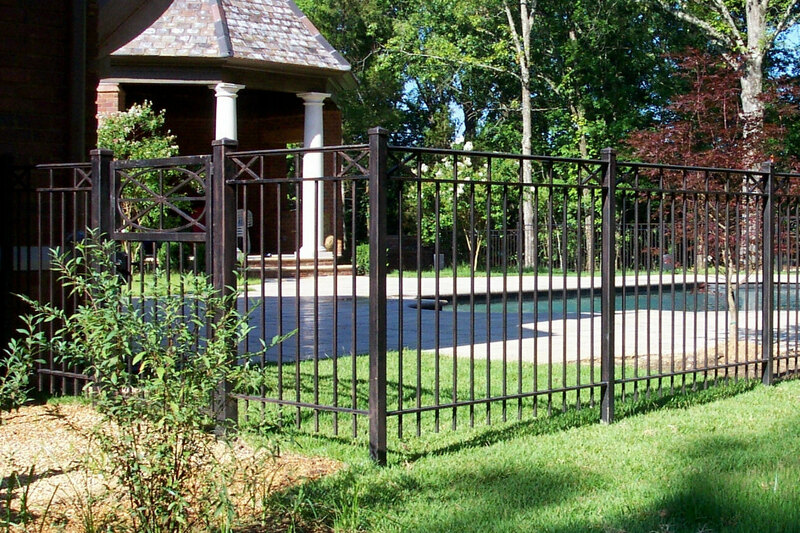 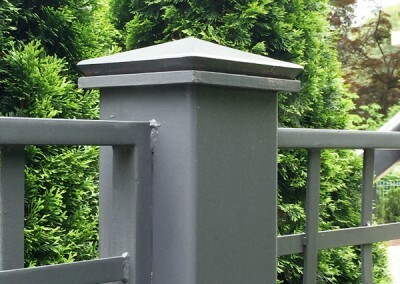 We custom build each and every section of our fencing, allowing for your individual needs and tastes to be met. 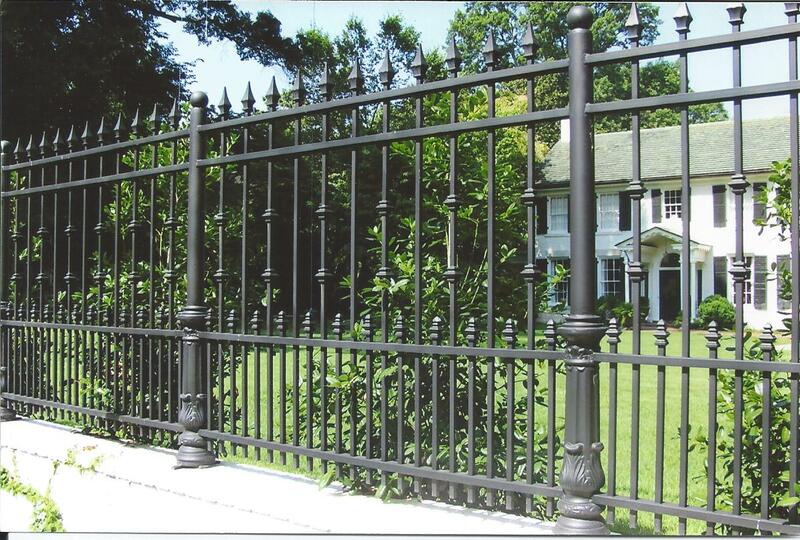 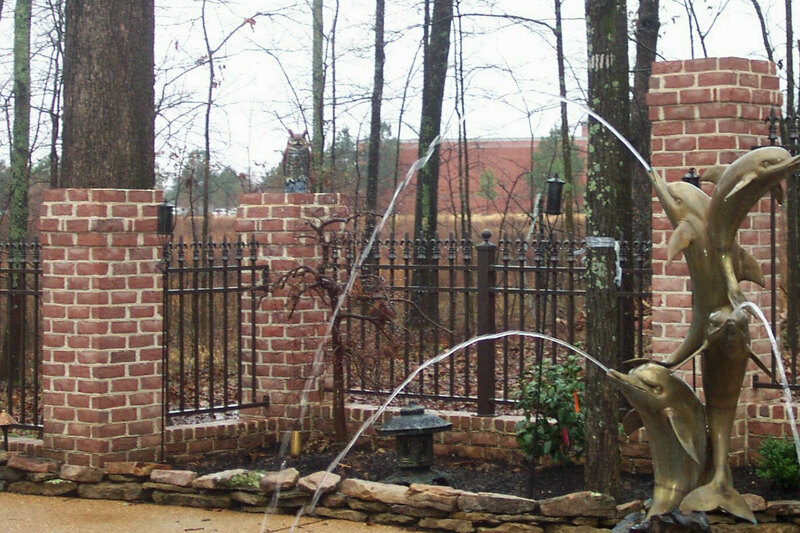 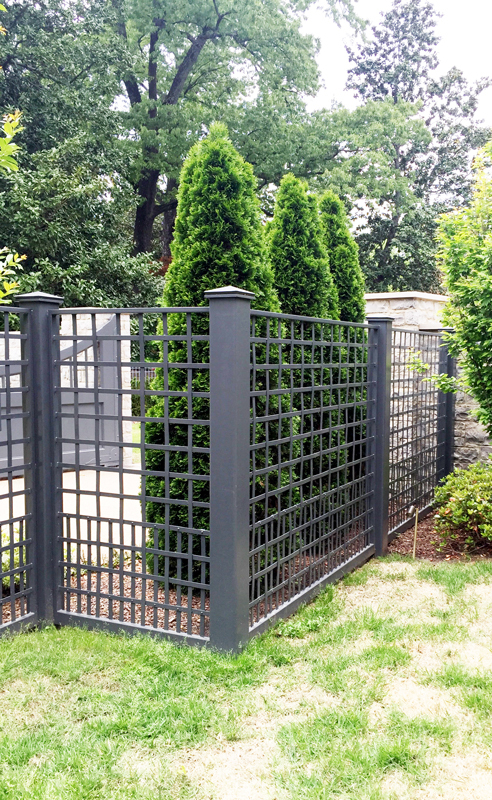 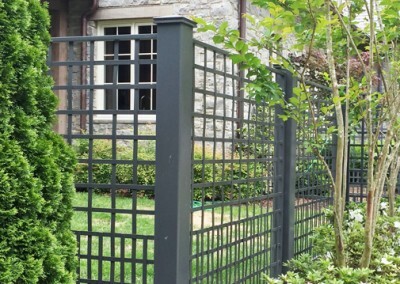 Our Design Service can be utilized to build you a one-of-a-kind iron fence for any area you desire to secure. 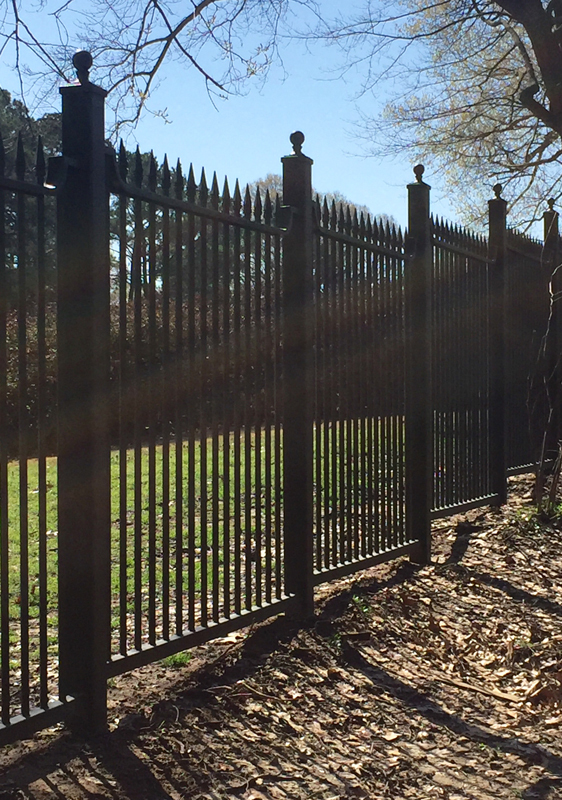 What sets our iron fencing apart from our competition? 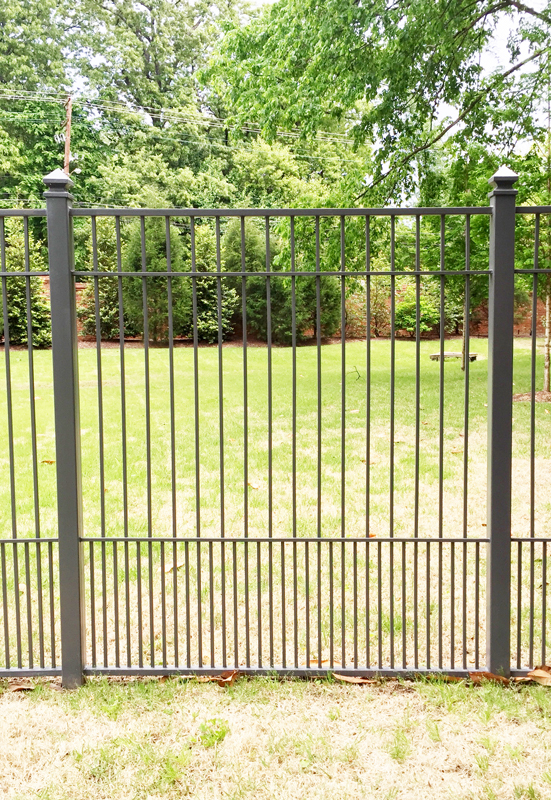 First, our fencing is of all welded construction. 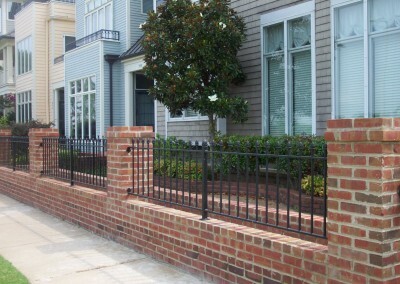 Many of the sub-standard iron fences you see are ordered in standard sizes and bolted together in the field. 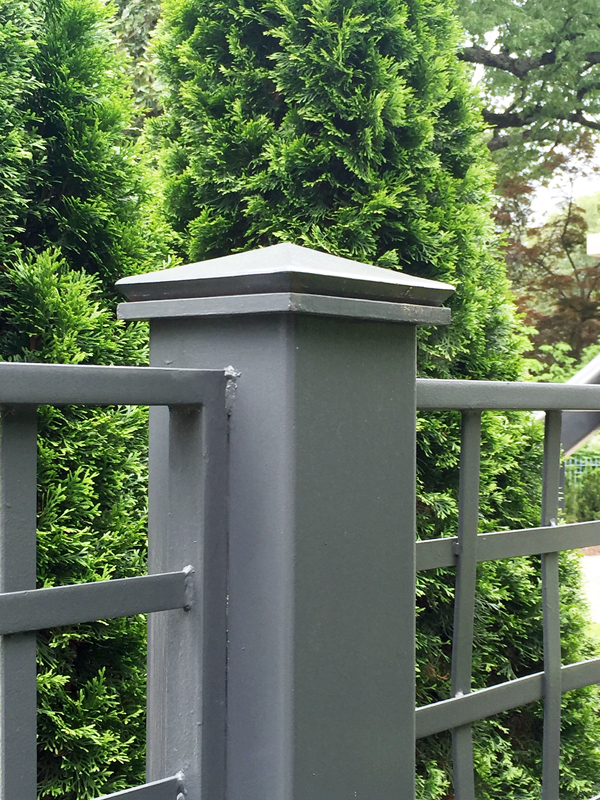 Second, we give extra care to washing, priming, and painting our product in our shop before installation. 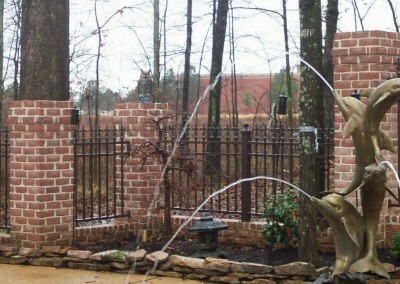 Finally, our well-qualified installation crew refuses to cut corners in the installation process. 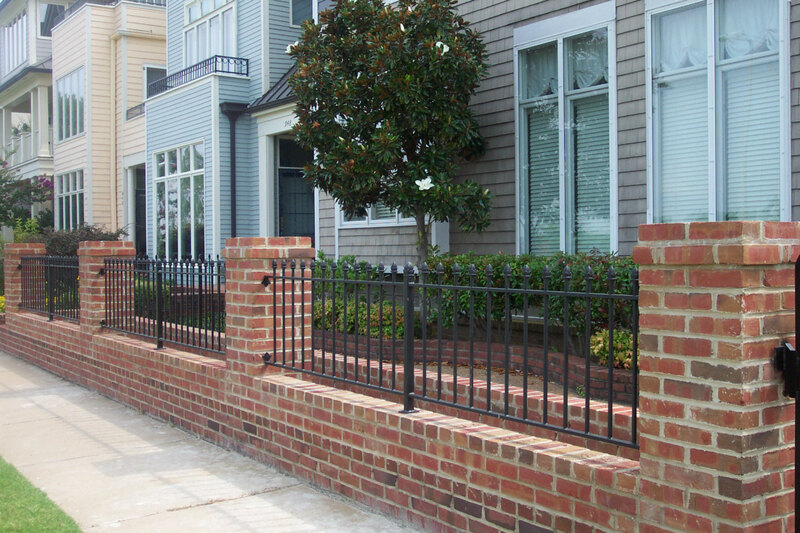 All of these standards go a long way to ensure customer satisfaction and providing a product that we stand behind.